Who says a man can’t do two things at once? San Francisco Giants pitcher Jake Peavy proves otherwise. Is it a lucky catch or a lucky throw? 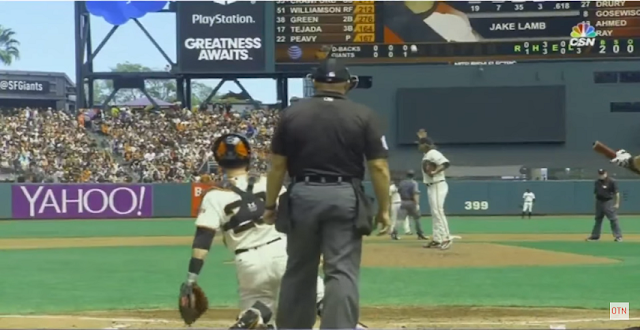 Either way, San Francisco Giants pitcher Jake Peavy has left crowds in the US stunned, when a ball thrown at him landed or was caught in his mitt during a Sunday (NZ time) match. During the team’s game against the Arizona Diamondbacks, Peavy started arguing with the umpire. 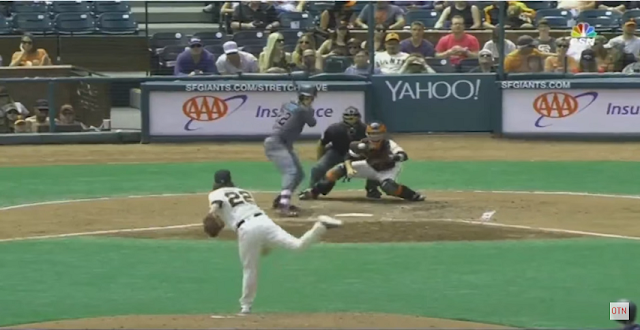 That meant he wasn’t looking at the ball when catcher Buster Posey threw it his way. But any fears Peavy was about to get hit in the head quickly faded, as crowds cheered when the ball landed right in the catcher’s hand.